If you have been around for a while, you might remember that Google, mlvb.net, and skweezer used to provide mobilizer services, which compressed web pages so that they would load faster and be optimized for viewing on mobile browsers. Google's worked by adding www.google.ca/gwt/x?u= before the address of the web page you wanted to view. 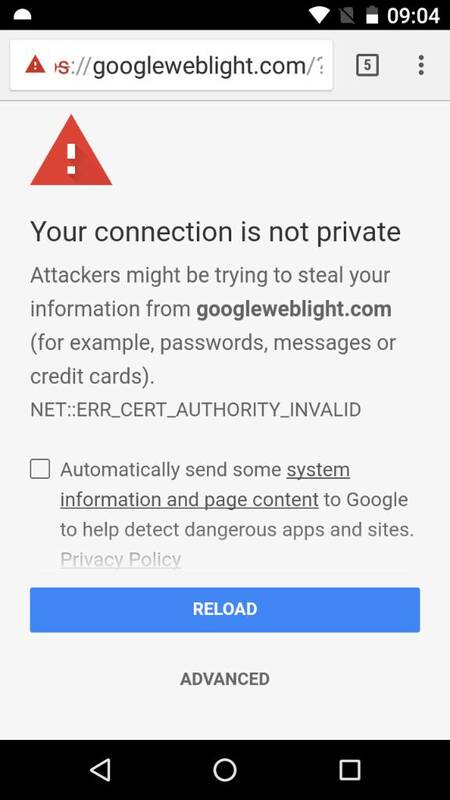 I just went through all of my bookmarks and added the mobilizer prefix https://googleweblight.com/?lite_url= to all of the ones that don't load quickly. No more checkerboarding! anon(9721108), rayporsche and Kiwistat like this. Interesting, never heard of that one and one would think anything "Google" would be used more than most because it is a household name. I was OK with Opera Mini in the old days, and tried it on the 9900 but it drove me mad when it kept reverting and defaulting to Spanish for some reason. But either way I never minded the stock browser much, especially on the faster 99. Every time I go back to the 9900, I realize how much better the trackpad was for working with text. It's too bad that the touch-sensitive keyboard on the Passport isn't as accurate, or it might have been as useful as the trackpad. But, generally, I find it to be an exercise in frustration, and end up using the on-screen text selection tool. Great tip! Thanks once again to Shuswap. Given lack of recent updates, I also don't do financial or other security critical activities over 99 anymore so I'm somewhat less worried about passing thru centralized servers. BIS NOC might be another tasty target if it were more popular?? Since my 99s are the most data plan frugal devices I use, data compression probably won't reduce data consumption on it as much as it might on my BB10 and Android stuff...??? Given the demonstrated deficit of ethical integrity displayed stealing SUN's intellectual property, I don't trust Google ethics AT ALL (!!!) but feel reasonably assured they'll nurture their market share by at least projecting an image of "due diligence" over security. Lol. What happens, tho, if some nefariously malevolent entity gains access to the mountain of data "benevolently" accumulated by the all knowing GoogleVerse? Imagine how much more efficient Stalin's purges might have been conducted with access to such data! Including GPS location!! Lol. A LOT of eggs in that basket, imo. Food for thought, even if the eggs are too rotten for food... lol. fwiw. Tin foil (where do you find TIN foil these days? Lol) hats won't help much (even if bonded to ground...lol) when carting around a radio based communications device complete with two cameras, microphone, gps, CONTACT LIST, etc powered by a battery that can't be removed ... AKA a "modern" handset... lol. If worried about ELF behavioral influence, i'd be more concerned with possibilities for ELF level electro-body interaction with capacitive HMI... lol. Engineers can always find SOMEthing to worry about... Job security, I guess... lol. Optical Trackpad represents a giant leap in mobile UI technology, imo. Try selecting and editing about 200 spreadsheet cells on any device without optical trackpad and you'll rapidly appreciate the precise efficiency it affords to virtually all functions. Even after all these years of telling myself "touch is modern, touch is modern, tou..." I still really detest touch HMI for phones. And I've configured, programmed and commissioned countless industrial touchscreens over the past 1/4 century. Phones are simply the wrong application of that technology, imo. Fwiw. Lol. I remain convinced that one of RIM's greatest mistakes was abandonment of tool belt on Q10. They blessed it with dozens of keys but inexplicably left out the five most used keys. Trackpad could be argued to be THE most used key on our 99s!! Very sound reasons for that but RIM didn't care what WE thought about it... Go figure. Last edited by idssteve; 08-01-17 at 11:46 AM.